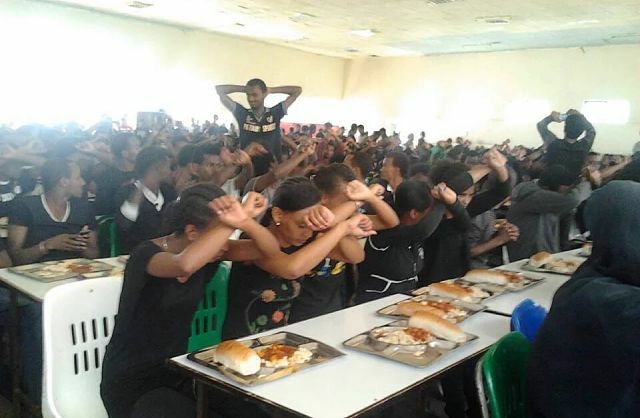 Ethiopians have been under tyranny for the past 25 years; the repressions have continued and things have gone from bad to worse in the past one year. Since November 2015, 100s of nonviolent protesters have been killed by the regime in power. Despite the violence by the regime, the campaign for Freedom, democracy and social justice has not stopped. It has gone from strength to strength in an organised and unified way. Many people may know that Ethiopia is effectively a one party system dominated by the Tigrean People's Liberation Front (TPLF). The party conducted another sham election in 2015 and claimed to have won 100% of the seats in parliament. This is outrageous and can never happen in a true democracy. The only other county where elections can be won 100% and possibly with a 100% turnout is North Korea. Despite having a clear picture about this sham election, the president of the United States called this election democratic during his visit to Ethiopia. That was an insult to democracy and hence Ethiopians and human rights activists from across the world went on to social media to condemn the statement. The regime in Ethiopia used this statement as an endorsement. This sham election has changed the way Ethiopians think about elections. Many Ethiopians think elections will not work as things stand and the regime is not ready for proper and honest negotiations and democratisation of the country. Hence the only way out is to resist in a nonviolent way. Ethiopians in Oromia, Amhara, and many other regions have been organising demonstrations in the past one year. The response from the regime has always been violent crackdown. As the regime’s violence continues, equally the nonviolent civil resistance has continued and has spread across Ethiopia. Language, ethnicity, religion, gender, age or any other factor is not an issue here. All the Ethiopians are calling for is FREEDOM. The freedom for all Ethiopians. We all say no to tyranny and resist non-violently to free ourselves and our beloved country once and forever. That is how we can break the cycle of violence and live in harmony and prosperity. Ethiopians say enough to 25 years of killing, maiming, imprisoning, instigating fears and dividing folks. Time for change and for freedom. It is now or never!